Cuba is a ripe business market for Central Ohio, according to the global business team at Kegler Brown Hill + Ritter. In an effort to spur a conversation with city, state and national lawmakers about the ongoing U.S. trade embargo, the Columbus-based law firm sent four attorneys on a mission to the republic in April. 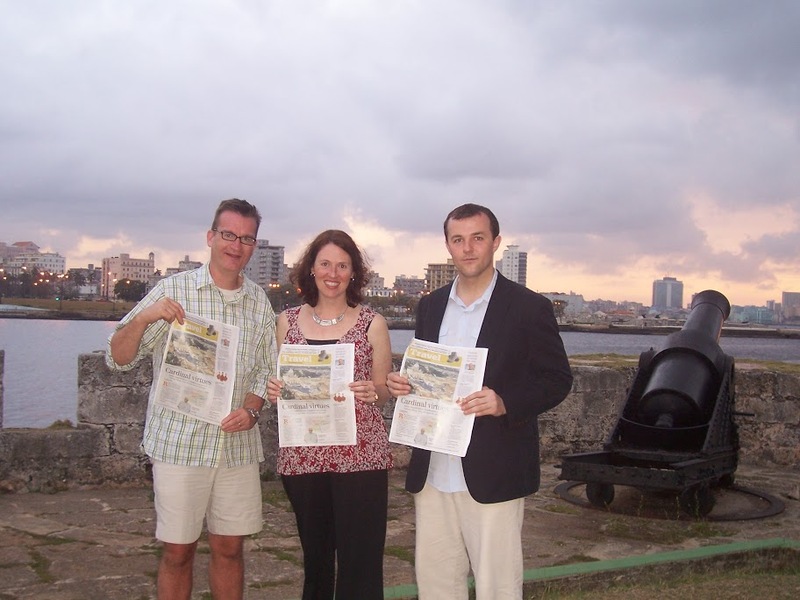 The Kegler attorneys joined a delegation of 16 Americans who spent a week in Cuba on a people-to-people license issued through the U.S. Department of the Treasury’s Office of Foreign Assets Control. Alcalde led a delegation in 2010, including representatives of several Ohio companies and a staff member from the Ohio Department of Agriculture. In 2011, Kegler Brown hosted the top Cuban diplomat in the United States, Ambassador Jorge Bolanos, for a discussion about business development between Ohio and Cuba. Bolanos was welcomed by then-Ohio State University President E. Gordon Gee, Mayor Michael Coleman, Ohio Supreme Court justices and Central Ohio business leaders. The recent mission was a first for Kegler Brown associate Christy Prince. Prince says there are obvious openings for Ohio’s agricultural, pharmaceutical and medical devices industries in Cuba. “There are some opportunities with the embargo in place, but a world of opportunities if the embargo were lifted,” she says. Cuba is closer than Ohio trading partner Mexico, has a high demand for food and agricultural products burgeoning medical device and pharmaceutical industries. In addition, Brazil has invested $900 million to develop the new Port of Mariel, making it the largest Caribbean port surrounded by Cuba’s first free-trade zone in decades.